Most adults feel comfortable complaining when they feel that their needs have not been appropriately met. If their steaks have not been cooked properly, they will send them back to the kitchen. If their new set of clothes shrinks in the wash, they will return them. If their mechanic has not solved an ongoing engine problem, they will keep returning their cars to the shop until the matter is resolved. Some situations, however, are less familiar to navigate and therefore a seem bit more daunting. One of these situations is knowing when it might be appropriate to file a complaint about a bank; and if it is appropriate, what steps should be taken? A vague dissatisfaction about the service you have received at your bank is not enough. Before you file an official complaint about a bank, you must have details that show in what ways the service you have received is unsatisfactory. You must gather information about the product or service and specific details that back up your claims. These details are important, because in order for the complaint to be filed, you must be able to help prepare a statement listing your specific concerns. Once you have gathered all of the necessary information to support your claims, you must prepare an official statement of complaint about the bank in question. This statement can either be submitted online or can be given verbally to a government representative from the Consumer Financial Protection Bureau (CFPB) who will help you to organize your statement properly. Whatever route you choose, remember that you must have the information on hand in order to facilitate the process. 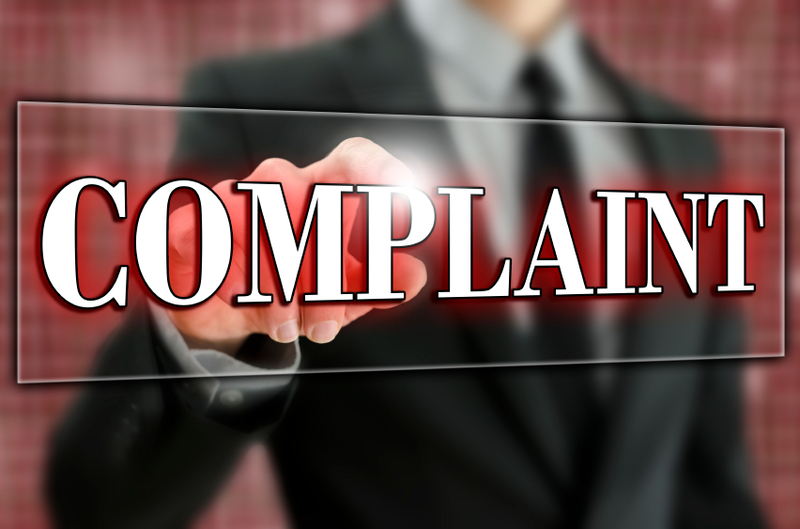 After you have submitted your formal complaint, the complaint process can officially begin. Professional men and women who are well-educated in adjudicating these matters spring into action behind the scenes, working toward a swift and satisfactory conclusion. Depending on the complexity of the issue, this process could take anywhere between two weeks and two months. Either way, you can be assured that action is being taken. During that time, the complaint will be forwarded to the bank in question along with all accompanying documents. Once the bank has had a chance to look over the complaint and proofs, representatives must respond within a set amount of time, working with both the government agency and the individual in question in order to resolve the dispute in a timely fashion. Once a resolution has been met, an entry is made in the Consumer Complaint Database. As a last measure toward improving the system, the individual who made the complaint is asked for a consumer review to highlight the positives and negatives of his experience. Although filing a complaint about a bank may sound a bit more daunting than sending back a poorly-cooked steak, nothing could be more straightforward. Once consumers understand how easy the process is, there really should be nothing holding them back from seeking relief through the complaint system. Unfortunately, some people may still hold back through a sense of defeatism, assuming that since banks are large and powerful, they will ultimately win out against the individual. Happily, this is not the case. “The vast majority of complaints do get a response,” said Laura Murray with U.S. PIRG’s Education Fund. “Approximately 1 in 3 got some sort of tangible relief” (CNBC). Given the numbers, it seems counter-intuitive to hold back through fear that the system will be ineffective. Knowing when it’s appropriate to lodge a formal complaint against a bank and understanding the ease with which such a task can be accomplished, consumers can feel confident that the system provides appropriate checks and balances to keep banks from taking advantage of individual banking customers. After your complaint has been resolved (hopefully in your favor), you will need to decide if you want to stick with your current bank. If you decide to switch banks, you can compare interest rates on new savings accounts and high-rate certificates of deposit here at Banks.org.